Home Festival (TREVISO Italy 29th August - 02th September 2018) is an ambitious project, which it was born in the 2010 from HOME ROCK BAR the historical bar situated in Treviso. From a free event, after 7 years it has become one of the main festival in Italy. Every beginning of September the magical world come back alive, ruled from serenity and the opportunity to live together again the incredible atmosphere Home Festival gives, between people from all over the world that love music and art. Home is a unique event based on the connections and collaborations between local companies that during the years they able to host international bands. Home is also able to intercept thousands of youngs people which they are known as #Homies. Treviso and it is more than just a musical festival. It’s like a second house for those who want to live days of music, spectaculars and international artists, taking a break from the routine. Home is an energetic place where people can exchange different cultures and participate to get Treviso known also outside Italy. 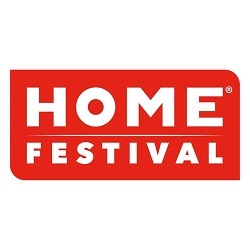 In the last few years Home Festival is synonym of “LIVE TOGETHER” for more than a 100 thousands people.